I want to talk about computer love. 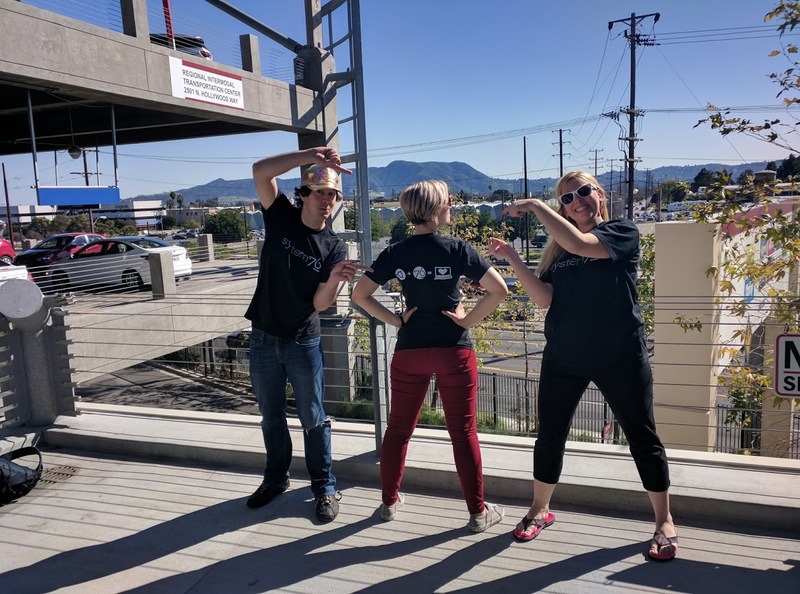 You may have seen pictures of me in the new System76 shirt, but if not, you'll see one here and find out how to get one for yourself. We started calling it the 'Computer Love' shirt. I designed the shirt to sum up who we are as a company with simple icons so that any human could understand what we're about or at least become curious. The logo on the front is my loud display of pride to support System76. The message on the back is simple. Ubuntu plus System76 equals Computer Love. Love is a human emotion- a connection - a special bond. Have you ever thought about how much you love your computer? Do you love the company that made it? Do you have a human connection to the company? I can't say that I've ever thought to myself, 'man, I just love this Toshiba laptop' or 'I can't live without this HP notebook.' For as long as I've been using computers, I've never had a human interaction with anyone at the company that manufactures it. System76 is as human as a company can get. At System76, you'll remember the name of who you talk to. We also invite you to come to our corporate headquarters for Ubuntu release parties or to look at our computers if you're local. We add a human touch to our computers everywhere possible, from the initial design to the performance and the service you receive. System76 is so different than any other computer company. If you can't master the human connection, how can you expect a customer to love your product? I want every customer to have an emotional attachment (LOVE!) to their computer. It's such an important device. You should love your computer. The majority of System76 customers LOVE their computers. When we receive feedback, it isn't 'I really like this machine.' It's more like 'I LOVE my new laptop! I'm going to tell everyone to go to System76.' The more I heard that, the more I started to understand that we should spread the love anywhere and everywhere. If you know me well, you'll know that I believe the best way to do that is with a T-shirt (You'll understand my reasoning in a future post :)). That's how the Computer Love T-shirt was born. My goal with this shirt is to encourage people to search online about System76 and discover what they're missing on their computer. Also, I wear it to encourage conversation. Since I ride public transit and work in the heart of Downtown Denver, the back of the shirt has served as a topic of conversation on multiple occasions. When a stranger asks me what the logos mean, I get as excited as a kitten with a cardboard box. Why? Because I love System76. In my 6th year at System76, I surprise myself every day with the fact that I love my job even more. Switching people to Ubuntu/Linux is so fulfilling. But it's not all I do. I have the opportunity to do more than one job at System76 with every task revolving around customers. Doing sales, customer service and tech support allows me to develop a human connection with my customers that extends throughout the lifetime of their product. It even spreads to my social networks to the point where I consider all my customers friends. That's the type of experience we aim for at System76. That human connection means everything to me- to all of us here at System76. When that human connection stems from love, it is bound to last and create happiness on all sides. And, if you know me, you'd know that nothing makes me more happy than spreading love and happiness. I want my efforts to extend outside the office even more, and if a T-shirt can assist with that, I'm going to everything I can to encourage people to wear it. Hopefully this shirt eventually spreads the love to enough people who support us, that you won't be able to go a day without seeing System76 in the wild. So, I wear this shirt every day with pride and with a smile. Why? Because I love System76. I can't say it enough. Do you want to help with my mission? You can get a free 'Computer Love' System76 shirt by posting with #ILOVESYSTEM76BECAUSE and your reason to any of our social networks and tagging @System76. I will send it to you personally, folded with love and happiness.